Enslaved in Kipchak Khanate, Jinghua has lost everything: her home, her family, her freedom . . . until the kingdom is conquered by enemy forces and she finds herself an unlikely conspirator in the escape of Prince Khalaf and his irascible father across the vast Mongol Empire. Jinghua has kept her own counsel well, but with Khalaf’s kingdom—and his very life—on the line, she must reconcile the hard truth of her past with her love for a boy who has no idea what she’s capable of . . . even if it means losing him to the girl who’d sooner take his life than his heart. 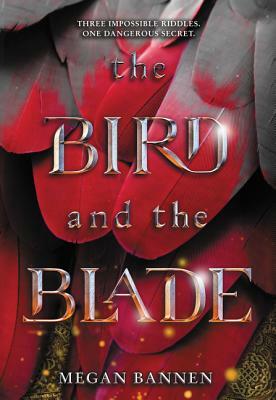 Megan Bannen is a librarian and the author of The Bird and the Blade. In her spare time, she collects graduate degrees from Kansas colleges and universities. She lives in the Kansas City area with her husband, their two sons, and a few too many pets with literary names. She can be found online at www.meganbannen.com.